What lead you to being an advocate for women composers besides being one yourself? I attended a concert in 1986 in Merkin Concert Hall in New York City, and heard a piece titled, “Parable” for four singers and orchestra, by Judith Lang Zaimont. I was so moved by the piece, I remember it as one of the few times in my life I burst into tears in a concert hall. I reached out to Judy, who has been a friend to this day, and she opened my eyes to the struggles of being a woman composing music, in 1986 and historically. I decided at that point to devote my recording career to recording music written by women, to give living and historical woman an advocate for their music. Can you explain to me what salon style music means? Salon music was popular during the 19th century. It was usually written for solo piano, romantic in style, often performed by the composers at events known as “salons,” which were small concerts in people’s homes. The pieces were usually fairly short and focused either on virtuosity, or lyrical, emotional expression. Why has so much exceptional music by women composers been overlooked? Music, like many arts, sciences, occupations, careers, has been male-dominated, and sometimes dismissive of the work of women. For many decades, while men were studying composition, women were not even permitted to learn at the conservatories and universities, and had to study their craft either on their own or with private tutors. Many families were unsupportive of woman studying music. 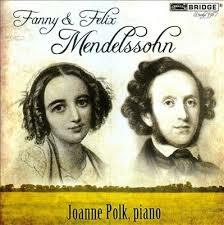 Fanny Mendelssohn, Felix Mendelssohn’s sister, was told by her grandfather, “A woman who has read her eyes red, should be ashamed.” So woman were behind the men in learning their compositional craft, and their music was often dismissed as feminine, and inferior. But once the music is recorded well, the music speaks for itself, and I believe we are beginning to become gender-blind in our choice of composers. Have you seen a difference in the youth of today with MinM in regards to female vs male participation? Yes, we have many more women than men at MinM, and this is true at many conservatories as well. What female artists do think should be mentioned that haven’t had the deserved exposure? Every time I hear music by a woman I believe should be recorded, I research her music and try to make a CD. 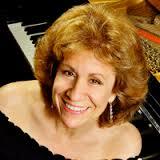 I have recorded Clara Schumann, Amy Beach, Fanny Mendelssohn, Judith Lang Zaimont and now Cecile Chaminade. Right now I don’t have my next project solidified — my Chaminade CD was just released — but I’ll keep you posted. Where do you foresee your mission of unveiling these female artists taking you? Taking the listeners? ​I just want listeners to enjoy music, without any gender bias. And I truly believe that female composers today are having a far better experience than women of the past. Their music is being judged on its merits, they are able to attend conservatories and universities, they are winning awards. If you lived during the 17th century when a female playing the piano was an extreme advantage to her courting a partner, would you have guessed that the oppression of women’s composers exposure would have taken the turn it did? ​Ah, but there was a big difference between learning the piano and courting a partner, and becoming a concert pianist who performed. 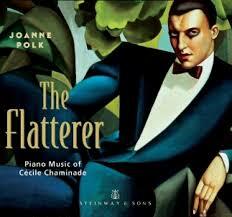 There was a lot of disdain for the idea of women performing, touring, making a living as a pianist in those days. There were also very few opportunities for female composers to have their pieces performed. So I believe the history of ignoring and almost stultifying female talent occurred in the 17th century, as it did through history. There is a wonderful story about Queen Victoria being asked which Felix Mendelssohn song was her favorite, and she unknowingly chose a song written by Felix’s sister Fanny, but published under Felix’s name. There is no better indication we are becoming a gender-blind listening society than my latest CD, The Flatterer with piano music by Cecile Chaminade, debuting at #1 on Classical Billboard. I don’t think anyone who bought the CD cared about the gender of the composer. They responded to the music. I actually started on the recorder when I was 6 years old and then I started on the flute in 4th grade at my public school in Highland Park, NJ. Did you come from a family of musicians? Not at all, in fact I come from an immigrant family and my parents greatest hopes and dreams were that I would become a doctor or a lawyer. The ironic thing is that my Grandfather was an artist, I’m actually writing his biography right now, but I think I inherited his gene. What kind of artist was he? He was an Armenian ceramic artist from a part of the the former Ottoman Empire called called Anatolia, a city called Kutahya. They had a ceramics tradition that went back to the 15th century and he was one of the very last masters of it in the early 20th century. He transported his art into Jerusalem where he reestablished it 1919 and today it’s called the Armenian Ceramics of Jerusalem and many people who have traveled through Jerusalem as tourists come back with a small piece of his pottery. I’ve researched him for 4 or 5 years. It helped to be out touring as a musician because sometimes I could stop a few days longer and look at an archive or look in a museum and learn more. What about your draw towards exploring world music, how did that originate? I’ve always been interested in lots of different types of music; contemporary music and music from different parts of world. And of course, living in NYC gives a person great opportunity to meet people and hear lots of different kinds of things. I’m very interested the way that newly written music intersects with music from different parts of the world. I think that this is a big trend in music right now and a very exciting one. As a founder of of MAYA and Perspectives Ensemble, have you found an increased curiosity or demand towards world music over the years? Yes, just straight out world music, absolutely. If you look at all recorded music, classical music is actually a very small minority of it and world music is a larger portion of it. But of course, there are so many different parts of the world that have their very own, very specific kinds of music. The technical process of recording has gotten easier and easier, so it’s natural that we’re able to access these different world cultures. You will be playing classical music with the Windham Festival Chamber Orchestra? Yes, I am going to be playing the most classical of Classical music; Mozart and Haydn, my favorite! I love both off the composers and am really grateful to Bob Manno for giving me the chance to play these two incredible pieces. Have you worked with Bob Manno before? I had the great pleasure of working with him this past summer in a wonderful program up in Windham with his summer festival. He and Magdalena run that. He’s an incredible musician. We always knew him as an incredible singer during the years he was in the Metropolitan Opera Chorus and now its a great revelation to be able to work with his as a conductor because all of that amazing musicianship is totally there in his conducting as well. Can you hear yourself on stage when you’re playing with 24 other musicians? Yes, you can! It’s really all about listening. The whole thing is about listening. Its kind of strange, if you thought about what it would be like to be in a group of 24 people talking, it would be much harder to understand what everyone’s saying if they were all talking at once. But music is this incredible thing where you make sound at the same time as other people; sometimes one or two, or sometimes 20 other people, and the way your brain works during that process, your ears reach out to everyone and combine what you’re doing with what they’re doing. It’s the most unbelievable high. They say you should only become a musician if you have to become a musician, that you’re so driven you have to become a musician. But I think that one of the immense rewards of it is to be in a group of other musicians and having this kind of simultaneous conversation dialogue where you’re saying something and producing something and so are other people. Yet, you come together in sound and make beauty. It’s such an incredible experience. With a composer like Mozart, who writes with such clarity and yet the lines in the music are very expressive and emotional, it’s just balanced at the same time order and emotion. It’s a very moving experience. What is the energy shift like after the shows? Do you leave it with the music, or is there any tradition after the show like going to dinner? I think a lot of times the good feeling carries over, you want to go out, you want to be with the audience or have a drink with people because the feeling is so strong and so good. That’s one of the reasons why its so nice to have the opportunity to say hello to people in the audience after the show because you’re also sharing the experience with them. The experience of live music is shared with everyone in the room. Although it’s wonderful to watch a concert on TV, there’s no comparison to actually being in the room with the vibrations of the sound around you. Especially at the Doctorow Center, which is a beautifully intimate space in where people can really see, hear and feel the music in a very immediate way. Do you think the flute is adequately represented in the music world? There are a lot us in the music world. There are a lot of flutists in the music world doing many different kinds of music; classical, jazz, new-world etc.. Flutists have a reputation for being leaders, entrepreneurs and innovators. 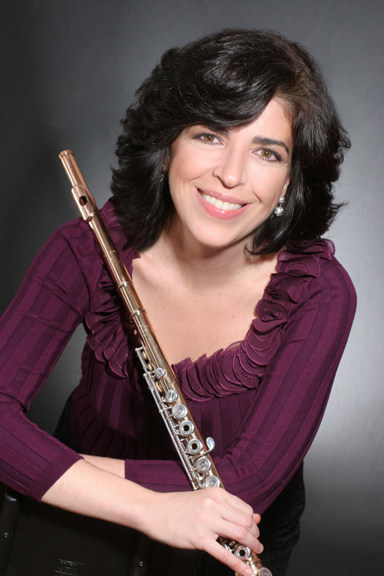 Some flutist are composers, other flutists start groups, others commission composers to write new pieces for them. There’s a huge and rich repertoire for us. What advice would you give to a young student choosing which instrument to play in their school band? I’ll tell you how I chose my instrument, or rather, how I didn’t choose my instrument. My parents moved to a town that they thought had a good public school system and bought a little house on the farthest edge of the town, so it was a long walk to school. We had music aptitude tests, the band teacher called my parents and said that we think your daughter should play an instrument. I asked, “What’s the lightest instrument to carry to school?” and they said it’s the flute. So it’s all these years later and that’s what happens! I would just say to see what’s available in your school, try it, give it a few weeks. See if you like the way it feels when you play it, if you like the way it sounds when you either pluck a string, draw a bow across a string, blow air into a wind instrument or play into a brass instrument. Try a few different instruments and see which ones you feel at home with. Every instrument has great things that can be done, so I would say just give it a try and see what happens. There’s nothing that can compare with the feeling of playing music with other people, so really any instrument is a good instrument, it just depends on what a young person feels the happiest playing. Any future projects you can give us a sneak peak into? Yes, There are some important composer centenaries coming up in the next two years. Prospective Ensemble will be exploring the music of Spain and some other European countries as well. That’s all I’ll say for now, but well have some announcements. Our most recent CD came out in December on the Naxos Label, we explored music on the composer called Xavier Montsalvatge. I’m really proud of the work we did on that composers behalf. He was an incredible musician and also a music critic. He left a huge catalog of works, but because he came to his prime under the regime of Franco in Spain his music was suppressed along with the work of many other composers who were of the same generation. I feel really proud of the work that Perspectives Ensemble has done to bring some new light to his compositions. We’ve received a lot of amazing reviews as a result. I just love his music. Are there any readings that you could recommend that you have found to be influential to your career path? When I was about 11 or 12 years old I read a book by Hermann Hesse who’s an author who many many people read when they are 11 or 12 years old. I read a book called Das Glasperlenspiel or The Glass Bead Game in English, that book was about a utopian society in which the highest level of achievement was to play a game that was a symbolic representation of all the arts and in areas of knowledge. I really like the idea of looking for comparisons and relationships between things. I think that we often perceive the world world in a very fractured way, and see the elements of the world in isolation rather than being able to see connections and I think that it can be a really beautiful thing to see how one art form in one part of the world in one time can relate very clearly to another art form in another part of the world. That made a very big impact on me at a young age and it kind of set the course that I’ve followed ever sense. Anything you’d like to add about the upcoming performance at the Doctorow? The whole program, the music is just spectacularly beautiful. The Haydn Symphony has been programmed to end the concert contains a gorgeous slow movement that is thought to be a movement of a lost flute concerto by Haydn. He preserved it and put it into this Symphony Number 24. That’s kind of exciting, like a little mystery. He wrote this piece that must have must been gorgeous but only one movement of it remains and he interpolated it into a new work. I think that Bob has a particularly good ability to program music that is substantial but also accessible, it draws the listener in. He loves pulling the listener in and giving them an experience they can enjoy.